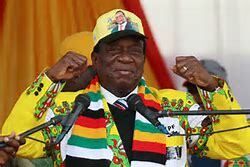 PRESIDENT Emmerson Mnangagwa faces an internal revolt from Zanu PF youths who are angry over his recent announcement that his government will follow constitutional provisions and compensate white former commercial farmers who lost their farms during the chaotic land reform programme. Although compensation will not be for land, but improvements on the farms which include dams, dip tanks, farm houses and other infrastructure constructed on the farms over the years, party youths said they were against the move. Vocal Zanu PF youth league political commissar Godfrey Tsenengamu, fired from the party by ousted former leader Robert Mugabe before bouncing back, has stirred the hornets’ nest by charging that government should not compensate the farmers because they developed infrastructure on stolen land. “Compensation for land developments or infrastructural development is not a priority for Zimbabweans. The Constitution demands compensation for the above and what we are proposing is an amendment to that clause, as the clause is an insult to our fallen heroes who paid for this land through their blood, sweat and tears,” Tsenengamu told NewsDay yesterday. He charged that while Mnangagwa was only upholding the Constitution, it was up to Zanu PF MPs to push a legislative agenda that would amend the law and withhold compensation. developments they now claim are because they exploited our parents through forced labour. They forced our parents to pay huts, dogs and cattle, and many other taxes,” Tsenengamu said. The youth are critical in the body politic of Zanu PF and have normally nodded their heads to any policy decisions announced by the party leader, and rarely do they depart from backing the President. Two weeks ago, government through Finance minister Mthuli Ncube, announced that they had budgeted ZWL$53 million to compensate white former commercial farmers whose properties were seized nearly 20 years ago during the chaotic land reform programme. Zanu PF youth league leader Pupurai Togarepi, who recently survived a vote of no-confidence from the youth league, dismissed allegations of a fallout, saying while Tsenengamu’s comments were valid, the country should be guided by the law. “That’s a very healthy debate and any Zimbabwean is entitled to his or her opinion. As long as the compensation is constitutional, it’s good for us as a country to abide by our laws,” Togarepi said. He said his troops would support any constitutional decisions made by Mnangagwa, including compensation on improvements made on farms by white farmers provided it would compete with other government priorities. “Secondly, as long as it’s about infrastructure on the farms, our government has an obligation to perform. If we need to be a responsible global citizen, we must, as a priority, adhere to our laws. The land issue is an emotional issue, but we should clear these little hurdles to move forward as a country,” Togarepi said. He, however, warned that any push by white former commercial farmers to be compensated for anything more than improvements on farms would be resisted. agenda. The government has no money, yet it wants to compensate the white commercial farmers. Bwende also said government should give local investors the platform to resuscitate industry, instead of promoting foreign investors.